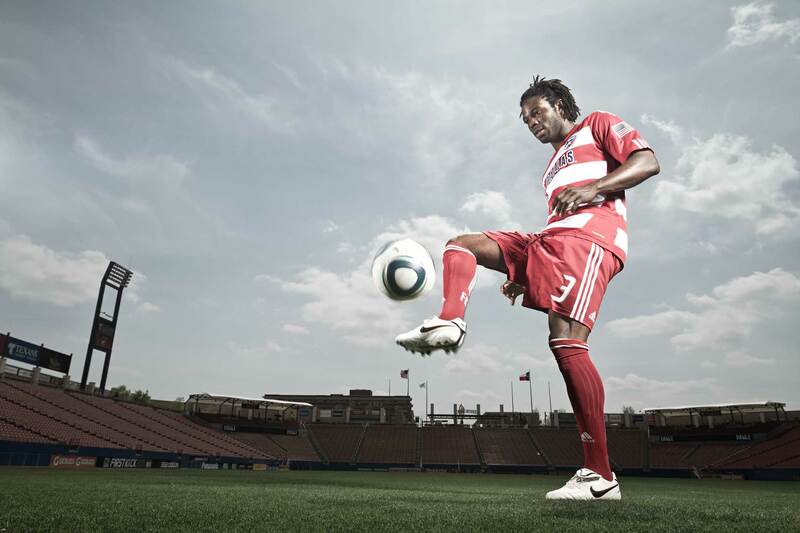 "Why Black Dallas Achievers Choose Dallas" Ugochukwu â€œUgoâ€ Ihemelu Age: 28 FC Dallas defender Lives in North Dallas (since 1992) Hails from Cedar Hill Ugo, who was recovering from an injury, came out early with his trainer, who was afraid I was going to ask him to do something he shouldn't be doing. As I extended my hand and introduced myself, Ugo, in his best spanish, said "no habla ingles". I noticed his trainer had a little smirk on his face. Ugo cracked, "just kidding".